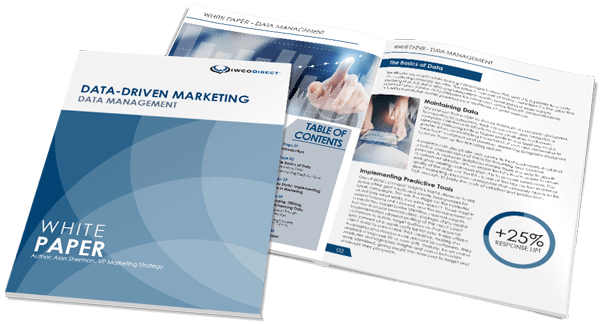 IWCO Direct has always been known as a leader in direct mail, and while we have expanded our service offerings to our clients to create multichannel direct marketing campaigns, mail remains one of our greatest strengths. Because direct mail is such a powerful channel for creating new customers, we must know the ins and outs of mail and be able to provide our clients with the expertise needed for flawless mail production. One way we demonstrate that expertise is by our Client Service Team participating in the Mail Professional Certification Program (MailPro for short). MailPro is a training service offered by Idealliance, which provides participants who are involved in printing and mailing a complete understanding of the postal-facing aspects of mail. MailPro Fundamentals (the course IWCO Direct employees take) teaches the primary principles of the mail supply chain. The training is conducted by expert instructors with more than 400 years of combined experience in mailing solutions and working with the U.S. Postal Service. In the Client Services department, our Client Service Managers, Senior Account Managers, Account Managers, Account Coordinators, and the support team will be certified. Add everyone together and there is a total of 88 employees in the department who will be certified. Each participant in the course must complete 13 lessons consisting of 6.5 hours of interactive video tutorials, and a 90-minute exam. Each participant has three chances to pass the exam by scoring a score of 80% or higher, but exam questions are randomly presented. No two exams are identical, so it’s a true test of their knowledge. When they pass the exam, they become MailPro Certified, but only for two years. Once that time has passed, they must take the courses (and exam) again. While becoming MailPro Certified can be hard work on the part of our team, it is important for us and our clients. Some of the most innovative and effective marketing is delivered through the mail. Our clients look to us to provide them with expertise and tips to help create direct mail programs that drive results. Understanding the ins and outs of the postal system allows our team to anticipate potential problems, prevent them from happening, and ensure our clients’ needs are met. If you have any questions about MailPro certification or how the training of our team will benefit your direct mail program, please let me know.